As it is usual the case with Scandinavian crime fiction what the authors seem more interested about is talking about the local societies and their many ills than crime itself. Camilla Läckberg is one of those writers who have started becoming more and more popular in the west mainly because of her characters. Detective Patrik Hedström and his writer wife Erica, do not only seem to be everyday people, but also people with big hearts, who can feel the pain of the others, whose psyches are deeply scarred by the past, and who care more for justice than anything else. 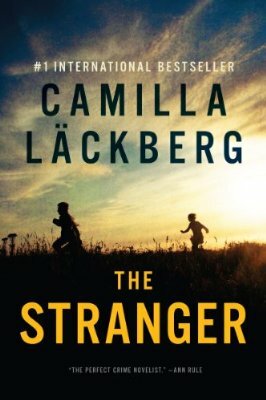 In “The Stranger” there are too many people circling around them, but also around the rural area where they live, and mostly where Patrik works: the chief of the Tanumshede police station who’s as lazy as they come; a cop who lives and breathes in boredom; another cop who’s finally got a lucky break; and finally a new transfer, an ambitious woman who at some point in the future wants to become chief of police herself. And these are the people that only reside in the police station. Add to them an ambitious politician, a mysterious psychologist, the cast and the production team of a reality show, an old woman desperately in love, as well as another old woman that lives all alone in the wilderness, and you almost get the full picture. I say almost, because most of these people have a lot of secrets to hide and a lot of pain that weighs on their shoulders. Läckberg seems to be more interested in dissecting the society than giving the readers a mystery; in making them think about everyday life, instead of trying to solve the puzzles. A road accident turns out to be a murder. Then another murder takes place that puts the city and the cops on the spotlight. And Patrik is caught in the middle of two investigations that seemingly have nothing to do with each other, even though there’s a chance they do. One can feel sympathy for some of the characters and their strife, but this is not an angelic world we live in, so most of them simply make him dislike them. The author seems to enjoying playing with the reader’s perceptions. 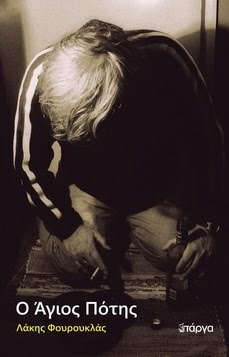 What is good and what is evil? Would you act any differently if you were in the perp’s shoes? Can you really judge a person by his or her looks? Can somebody escape the past unscathed? If you are looking for an overcomplicated mystery, you’ll like parts of this book; but if you’re searching for a novel that speaks about damaged people and the many evils of modern society you’ll simply love it.